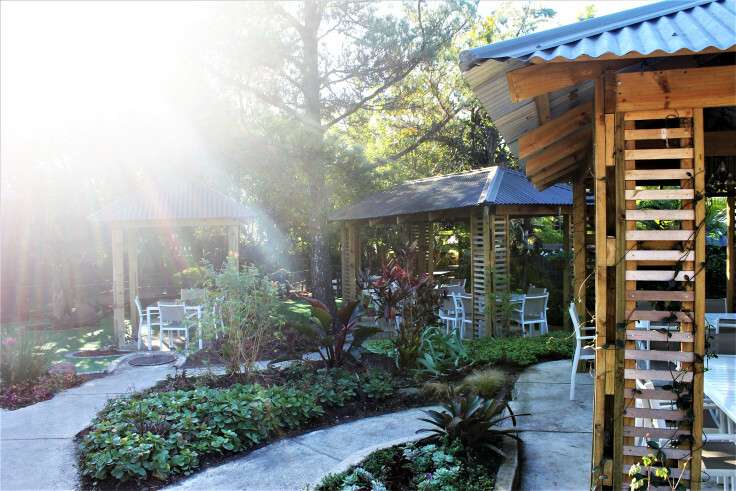 de Charmoy, only 5 minutes from King Shaka Airport, and 15 minutes from Gateway, is an unexpected hidden treasure, tucked away in the canelands of Verulam (neighbour of Dube Trade Port). Established in 1999, de Charmoy Estate is a family owned and run estate, run by Lauren and her parents, Cathy and Barnard de Charmoy. 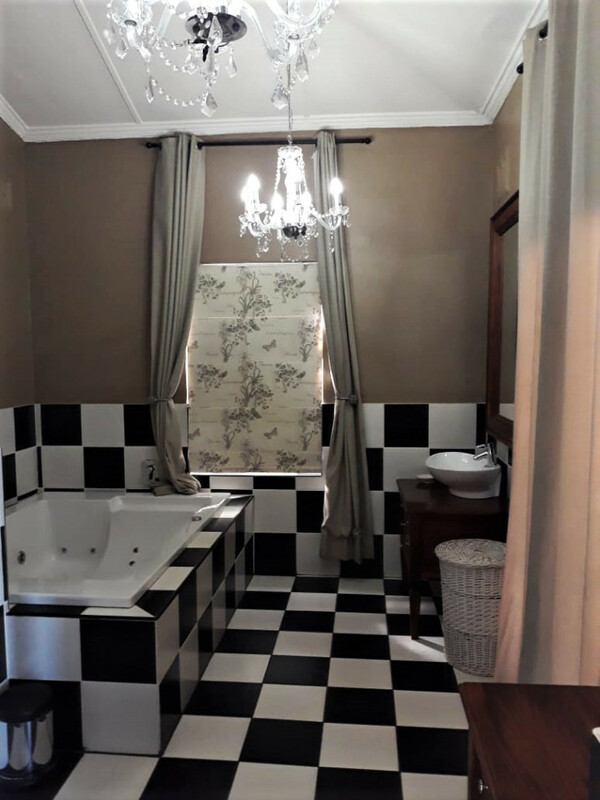 Recently Durbanite had the opportunity to stay at de Charmoy, read on to find our how Sabrina and Jason enjoyed their stay. Soon after booking a trip to Reunion Island, Jason and I found ourselves there… well, at least it felt like we had arrived in paradise! 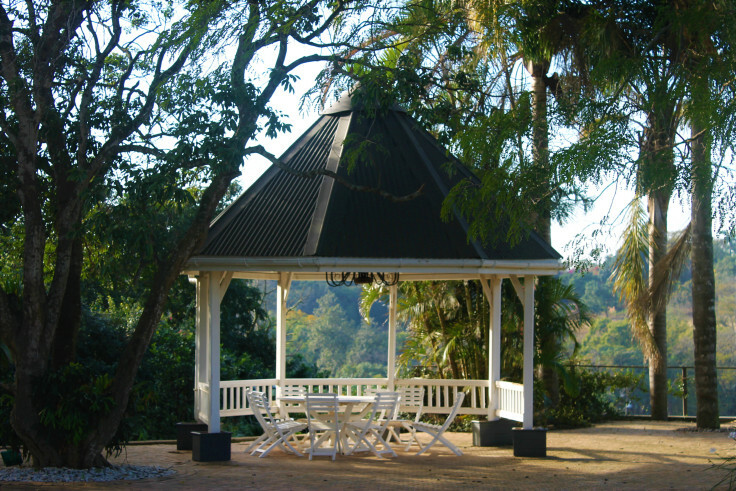 de Charmoy Estate’s lush gardens and architectural designs have been strongly influenced by the Seychelles where the charismatic owner, Barnard, is from. Characteristic highlights include slanting rooftops, open and wide verandas to let the breeze enter the house. Delights such as a cup of coffee or tea (whichever tickles your fancy) as well as a dining experience can be enjoyed from the room’s private veranda, which overlook the tropical gardens. Scattered with palm trees, hibiscus flowers, banana as well as other fruit trees. 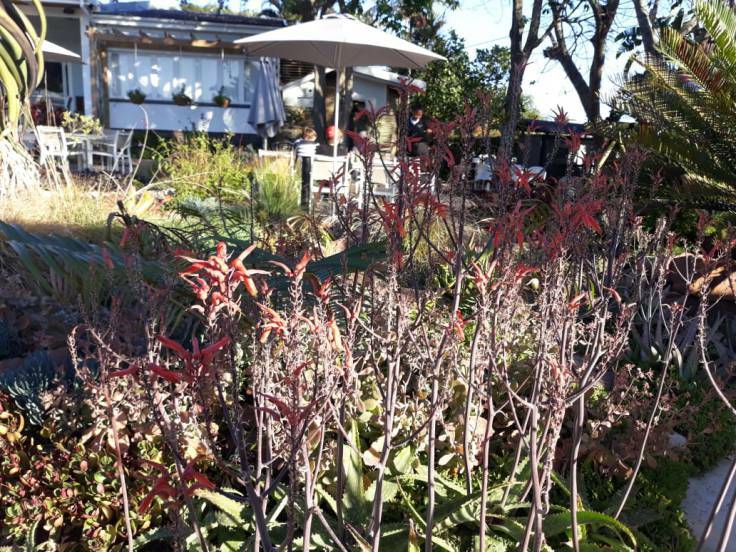 The estates garden is an oasis for birds and monkeys who can be seen enjoying the succulent fruits. 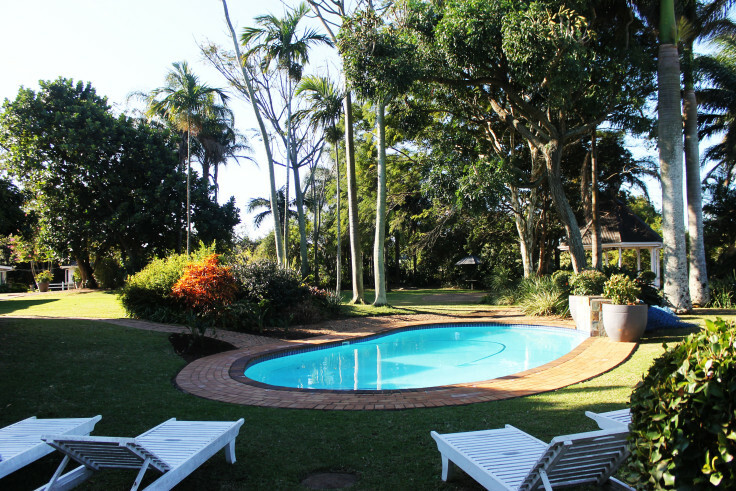 There are several swimming pools, which allow for a perfect retreat to read a book catching some sun, or to escape under the shade of the trees. Surrounded by sugar cane fields, nature and serenity, one forgets how close to the city we are. 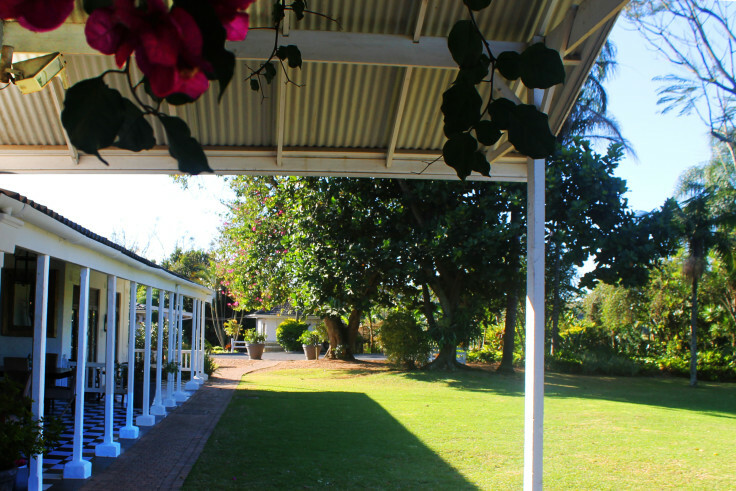 de Charmoy offers different size venues to suit any function or occasion, such as weddings, conferences, birthday parties, baby showers, and matric dances. In fact, upon our arrival a (successful) marriage proposal was in the midst of happening. It seems there isn’t an occassion de Charmoy can’t host. 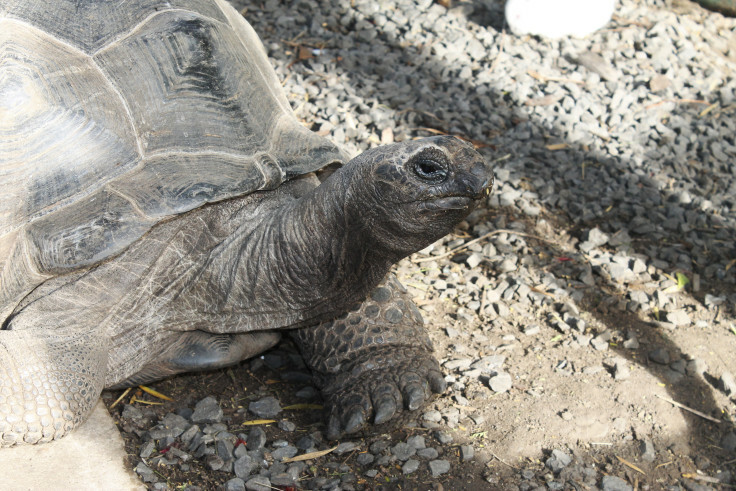 The estate boasts 4 star accommodation, a newly opened coffee garden, a spa and a few resident giant tortoises. Breakfast was served in “The Chocolate Garden.” No, there were no chocolate people or rivers of chocolate lava… but there was a chocolate fondue amongst other delicious and beautiful chocolate treasures! The Chocolate Garden is a garden inspired by chocolate which include chocolate-coloured plants, chocolate scented flowers, chocolate mint, chocolate sunflowers and vines. You will find these and more at Africa’s first Chocolate Garden (open Tuesday-Sunday). The garden concept, based on The Chocolate Garden book, a romance story where the story of Chocolate fairies who live in chocolate-colored plants make chocolate in their chocolate garden every night was brought to life. Attention parents: We know you are always looking for NEW places to go where the kids can play, well… look no further. The Chocolate Garden is a child-friendly venue with an awesome play area where the little ones can play safely to their hearts content while mum and dad grab a cuppa and bite to eat! 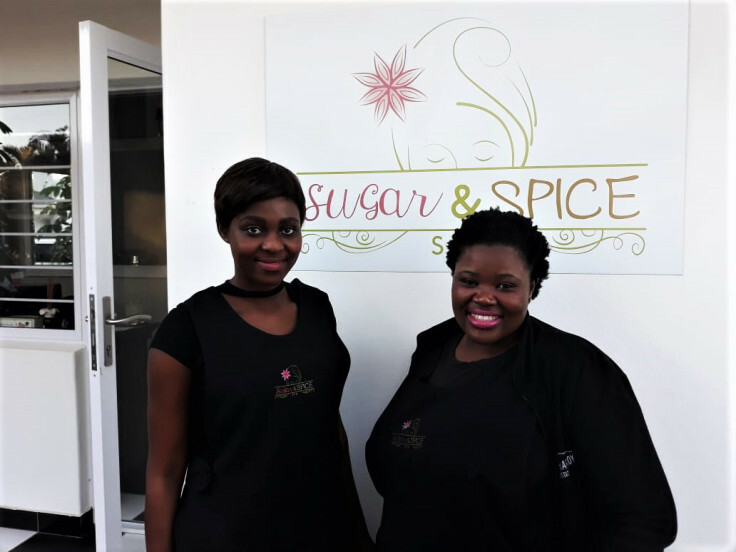 Designed to promote relaxation, rejuvenation and wellness, the spa most certainly lived up to this as we were treated by Sibongile and Zamma to a relaxing and rejuvenating back, shoulder and neck massage. It was heavenly and the 45 minutes left us so relaxed we were ready for an afternoon nap! Open to guests as well as the public Wednesday – Sunday, we highly recommend the Sugar and Spice Spa for some pampering. 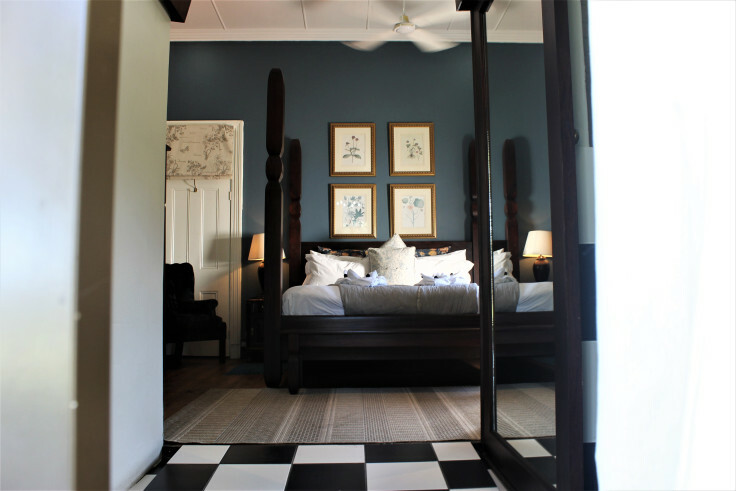 The estate boasts 16 beautiful rooms and we were lucky enough to be staying in the honeymoon suite at the Hilltop House. Room Chirinda. 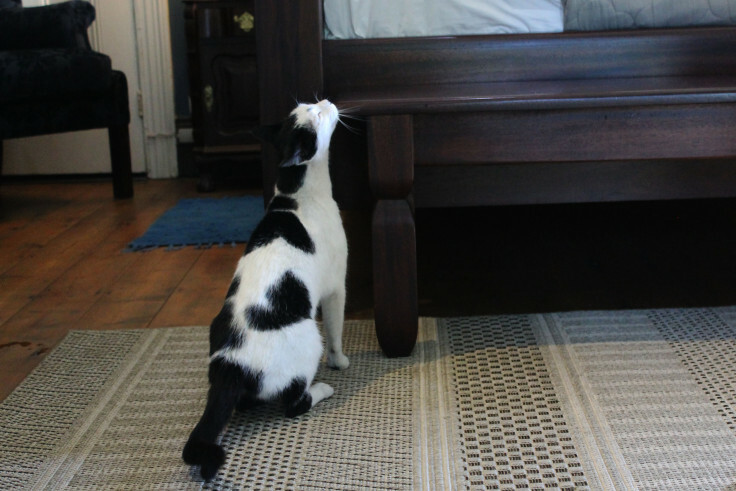 It was at this point with it’s rambling king sized 4 poster bed, that the cat, blending in with the black and white floor tiles, revealed that this too was her favourite room! Upon opening the bathroom door, my mind was momentarily lost. Could a bathroom be this beautiful and big!? With a twin size water jetted spa tub, I couldn’t quite decide whether to sprawl out in the tub or on the bed first. Note: the room includes a separate bathroom with toilet, shower and basin – which we really love! A stay at de Charmoy also includes breakfast. 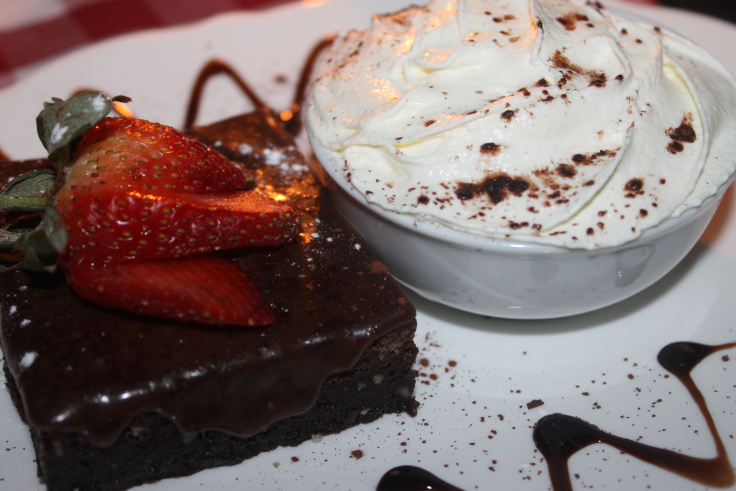 Dinner can be ordered on request either served in the Chocolate Garden or private terrace. We opted for the terrace. 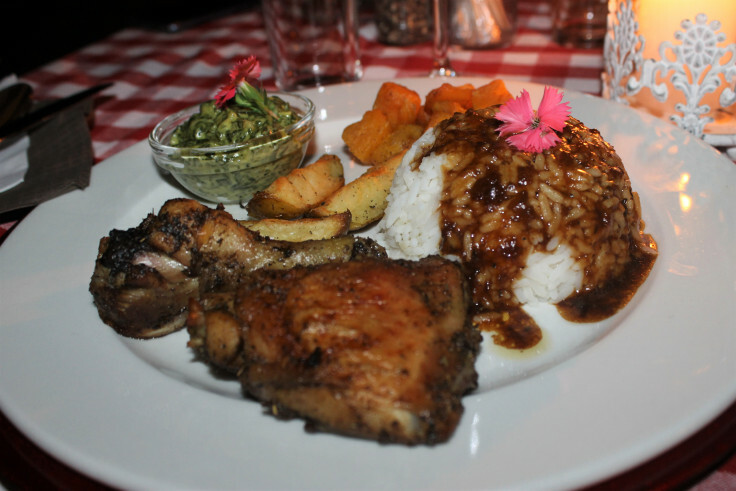 Roast chicken and vegetables served by candle-light was accompanied by the romantic ambiance of a light chorus of chirping insects and decadent dessert. All in all, we absolutely loved our stay-cation at de Charmoy. The hospitality, the decor, the food and the beautiful gardens. We hope to be back soon to stay… or at the very least book ourselves in for another rejuvenating massage! If you’re itching to book a weekend away for you and that ‘special someone’, you will find the de Charmoy website informative and user friendly. Booking a holiday (or stay-cation) couldn’t be easier! 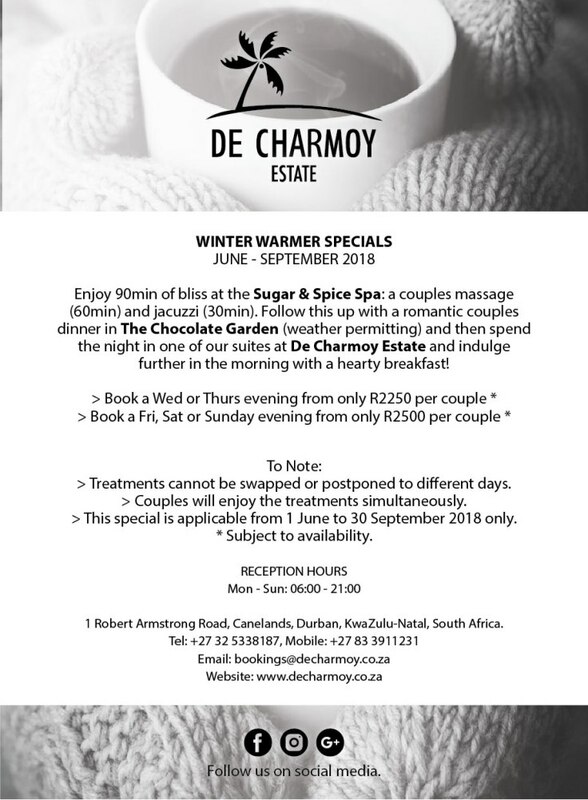 Plus de Charmoy are running an awesome WINTER SPECIAL until the end of September (see below)… so there really aren’t any excuses not to book yourself in for a few nights!